What Changes to the Closing Process Will the TILA-RESPA Integrated Disclosure Bring? As we’ve previously explained, on October 3, 2015, the HUD-1, GFE (Good Faith Estimate), and TILA (Truth in Lending Act) went away. They’re being replaced by the Closing Disclosure and the Loan Estimate. 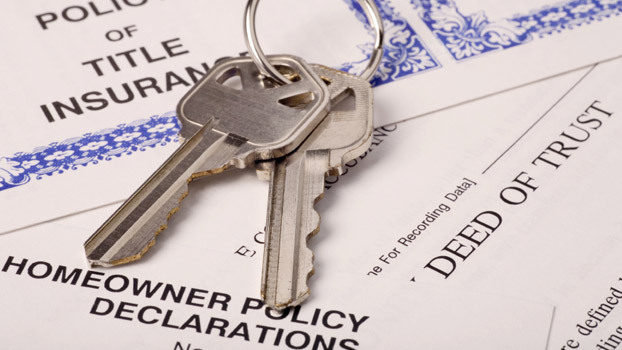 The latter, which has been alternatively dubbed a ‘know before you owe’ document changes what to expect when closing on a home for brokers, lenders, and sellers. To check out the differences between the old forms and the new ones, you can compare them on the website of the CFPB (Consumer Financial Protection Bureau). The CFPB, founded in 2011, has since made it its point to protect borrowers from undisclosed fee and rate changes, as well as from other unexpected changes at the closing table. In the aftermath of the housing bubble many complained they were not aware of what they were signing up for, and ended up owing far more than they could afford—or than they had bargained for. In came the TILA-RESPA Integrated Disclosure rule, which aimed to appease consumers by forcing lenders and sellers to be upfront about their terms right from the get-go, or to otherwise risk prolonging the closing process ad infinitum. And when it comes to the closing process, the consumers should be thrilled, according to US News and one source cited by them, a San Francisco Bay Area-based mortgage professional. In his view, the changes to the closing process brought on by these two new forms will make it far easier for potential buyers to compare mortgages. But, perhaps more importantly, they will make it far clearer as to what they’re being charged, how much money they need at the closing, and what the real estate company involved is paying for. The Closing Disclosure includes the final total amount that borrowers need to pay before closing, including taxes and insurances, mortgage fees, terms, and payments. It also covers a breakdown of the closing costs between seller, buyer, and broker. Unlike the HUD-1 Settlement Statement and the final Truth-in-Lending form, the Closing Disclosure needs to be released to the borrower at least three days before closing. The previous forms only had to reach the borrower at closing time and made an accurate closing checklist next to impossible. This, of course, has caused some malcontent on the part of mortgage lenders and realtors. They’re afraid these new forms will make closing last that much longer—and it seems that the National Association of Realtors is saying they have genuine cause for concern. They’re recommending that borrowers have the Closing Disclosure at their disposal 7 days before closing, with all the final provisions stipulated in the form. Ken Trepeta, from NAR’s Government Affairs department, has actually advised realtors to add an additional 15 days to their previous average span for closing. Ironically, the CFPB postponed the enforcement date for the new forms from the initial July 1, in order to make sure that the industry has all the necessary systems in place to make the changes effective. At the moment, buyers are still seeing many unexpected changes at closing, but once the new TILA-RESPA Integrated Disclosure rule came into effect, on October 3, all this has changed. Has your lender decided to change your type of loan? Add 3 more days to closing after you receive notification. Has your loan rate changed by more than 1/8 of a percentage point? That’s 3 days extra right there. The same applies to the situation in which a new penalty is added to your mortgage. And since it’s both in the lender’s and the seller’s best interest to expedite the process, one can safely assume they’re going to want to avoid endlessly adding three more days to the closing period. Another important change to the current closing procedures is that the Closing Disclosure does not fall under the responsibilities of the closing agent (typically a Title Company or an attorney), as was the case with the previous forms. Now, the closing documents are the lender’s responsibility, not in the sense that they are mandated by law to draft them, but that they will be held directly accountable, should any errors crop up. In this respect, you, the buyer, can expect yet another type of change to the closing process: the way in which the closing forms reach you. While some lenders have explicitly stated they will be sending them in via US Mail (which is likely to prolong the closing process by 3-4 more days), the law itself contains no such provisions. This might mean that some lenders will choose to send them electronically. The introduction of email and electronic signatures into the world of housing property contracts stands to actually expedite the process by as much as two weeks. Yet, as is always the case, and as also argued by the NAR’s Trepeta, time alone will tell how efficient this new way of closing on homes really is.